Following the trend set by the release of Red Dead Redemption, Bully and Grand Theft Auto 4 into Xbox One’s backwards compatibility library, Rockstar Games announced Thursday that three more of their older titles are following suit. Midnight Club: LA, Grand Theft Auto: San Andreas and Rockstar’s Table Tennis will be available via Xbox One’s backwards compatibility feature beginning on June 7. Both versions (the Complete Edition and the standard edition) of Midnight Club: LA will be available, while the version of Grand Theft Auto: San Andreas that will be available is the updated Xbox 360 release. Xbox Ones will default to that edition even if one puts the original Xbox disc into their One. 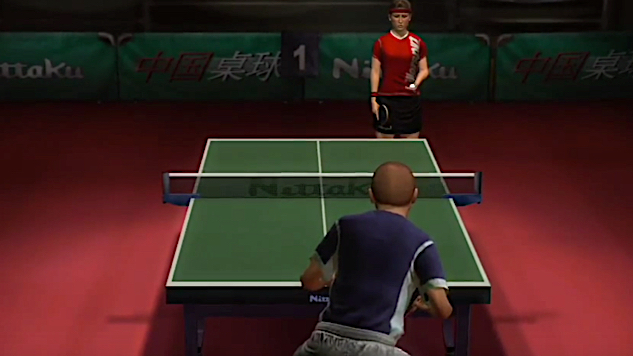 Rockstar’s Table Tennis is being released as is, though it deserves more updates because it is one of the best and most random sports games ever made. None of these titles are getting the native 4K treatment that Red Dead Redemption did, but they could always be updated in the future. Nothing is set in stone as far as backwards compatibility goes since Red Dead’s 4K treatment came after it had already been available via backwards compatibility. All three of these games present interesting and unique mechanics that make them worth revisiting—it is eye-opening to track the lineage and progression of Rockstar Games over the years. Videogame history, unlike many other forms of history, is unique in its interactivity. One can’t easily interact with Rembrandt’s original and earlier works, but one can easily interact with the early works of almost any videogame developer/creator. The need for videogame history preservation will become more important as the interactive age moves ever onwards. Also, now is as good a time as any to beg for Max Payne 3 to be made available via backward compatibility. It is arguably one of Rockstar’s best titles, one that deserves to be played and replayed, and given how beautiful it was at the time of its 2012 release, it would look even better given the backward compatibility treatment. One can only hope.